Our staff of appraisers has experience in subdividing land, building commercial and residential structures, land investments, and land purchases for spec homes and construction. Aspen Appraisal Group is uniquely qualified to look at the pros and cons of purchasing land to develop, build on, or sell, and can give valuable real estate valuation insight on which direction might be best in various Utah real estate situations. With the ever-changing landscape and continued growth of the greater Salt Lake area, the line between urban, suburban, and rural property is continually changing. 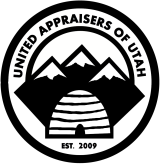 We at Aspen Appraisal Group are poised to help provide answers regarding these Utah real estate changes. Our professionals, with their hands-on experience and vast knowledge, can assist in the process of land appraisal and real estate valuation in order to determine a property’s value, whether it’s needed for selling, buying, refinancing, or estate planning—let us help! Call today with any questions you might have or schedule an appointment. You can also receive a free quote by clicking here. If you aren’t sold yet, see what others are saying about Aspen Appraisal Group by clicking here.